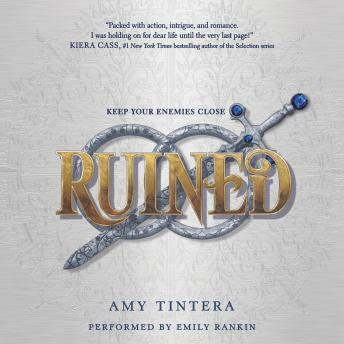 Amy Tintera’s new YA fantasy trilogy blends the romance of Kiera Cass’s Selection series and the epic stakes of Victoria Aveyard’s Red Queen in a story of revenge, adventure, and unexpected love. Emelina Flores has nothing. Her home in Ruina has been ravaged by war; her parents were killed and her sister was kidnapped. Even though Em is only a useless Ruined—completely lacking any magic—she is determined to get revenge. Her plan is simple: She will infiltrate the enemy’s kingdom, posing as the crown prince’s betrothed. She will lead an ambush. She will kill the king and everything he holds dear, including his son. The closer Em gets to the prince, though, the more she questions her mission. Her rage-filled heart begins to soften. But with her life—and her family—on the line, love could be Em’s deadliest mistake.